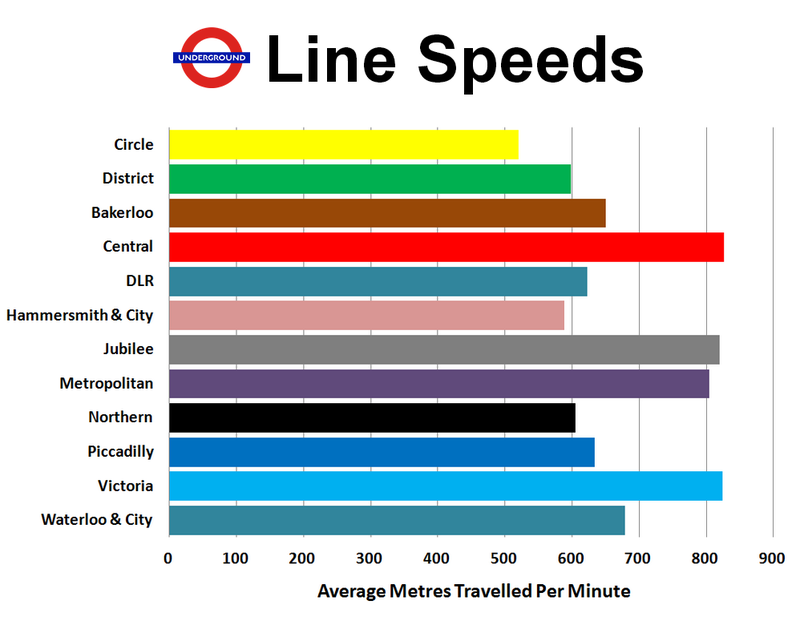 Just an ad-hoc piece of research of mine… Average London Underground Line Speed Comparison. I won’t bother going in to the details. There were a few considerations to factor in to the calculations, e.g. number of stops, distance between stops. Be that as it may, I stand by these results. This entry was posted in Uncategorized and tagged london underground speed. Bookmark the permalink. ← 8 May 2014 ~ Best Trade Of 2014 So Far? Hi, this is really cool, would you mind if I used it for an article on London24, with credit of course? And have you made any charts like this before? Thanks. Of course not, go ahead. If you could refer credit to my full name (Michael McHugh) that would be great! I often make charts using data I am interested in yes, but my main focus is on financial markets rather than anything London-specific. Hey Mike – great data, but can I ask more about how you did it? I mean, is there a data source you used? I’d love to know more and follow up these stats for 2016.